Contains some skin and bones. 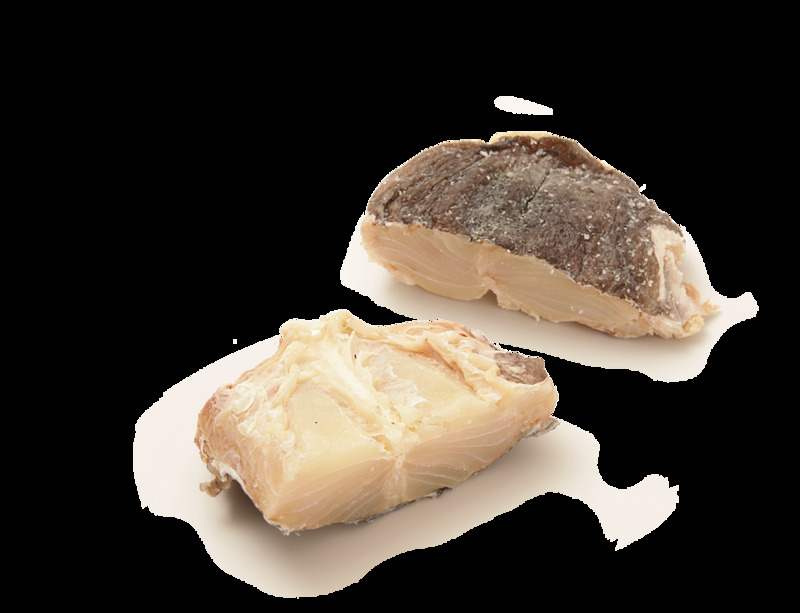 In refrigerator, soak (1 lb) of the salted fish in 6 cups of fresh water. Change the water 3 times during the day. Then parboil the fish in 6 cups of fresh water for 7-10 minutes. Then drain the water.